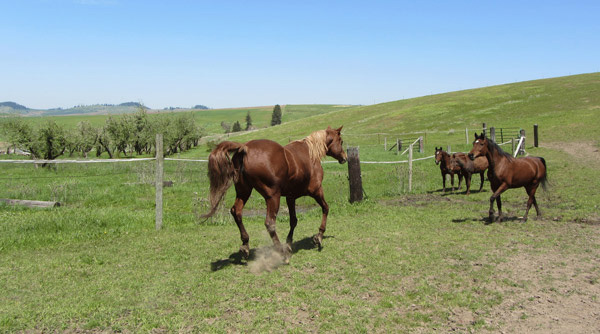 With gracious donations, and unfaltering help from volunteers, we are able to rehabilitate neglected or abused animals and provide them the long term care needed for them to heal and prosper. 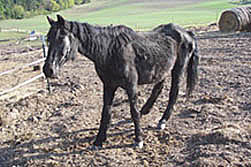 Fighting neglect is the reason Orphan Acres was founded. 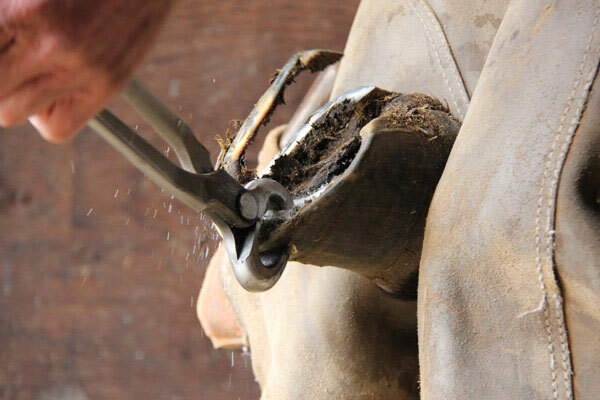 We are able to provide veterinary care, physical rehabilitation, farrier service, long term supplements and management for horses who continue to need support. We see animals for many differing reasons. They arrive because they are ill, injured, or abused. 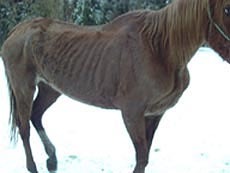 Animals in dire, or rescue situations are placed at Orphan Acres, Inc. by court orders, humane organizations, sheriff's offices, other law enforcement agencies and private individuals. The luckier ones are brought in when their owners first discover they are unable to provide adequate care, and before the animals are in bad shape. Many are not so lucky. Backstage Booty was one of two stallions and a mare that came from Montana after a long court battle that went on for months, even after the horses were placed here, but eventually giving us a full waiver of ownership for the horses. 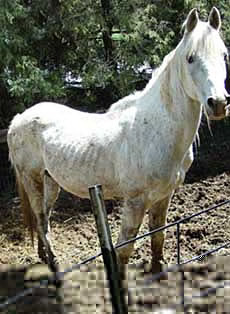 The horses were still in need of some rehabilitation when they arrived starting with getting the two stallions gelded. As they were older, this was riskier and harder on them. It then took months for them to settle down and be able to thrive, to put on the weight needed, and learn to get along with other horses. Due to injectors that they received from their past owner they have limitations as to what they can do. They are being offered for adoption and will have to be placed with someone that is aware of their limitations. 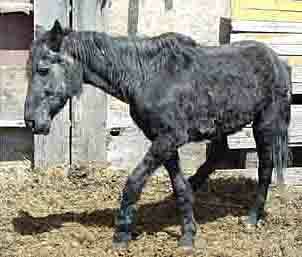 After being placed on a special diet and with regular hoof care he recovered. 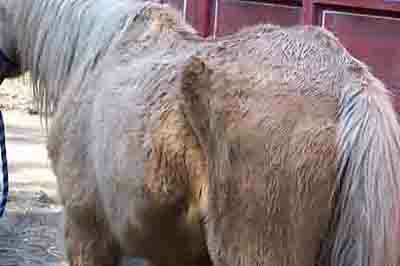 This off-track-thoughrobred thrived with love and care and now he is such a beauty! 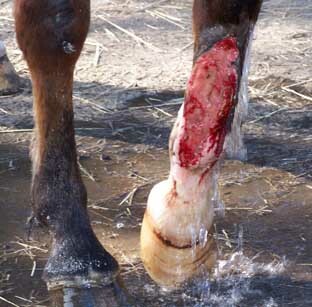 Most humane societies are not equipped to care for horses. Therefore, they are unable to help as they do not have the facilities to do so. 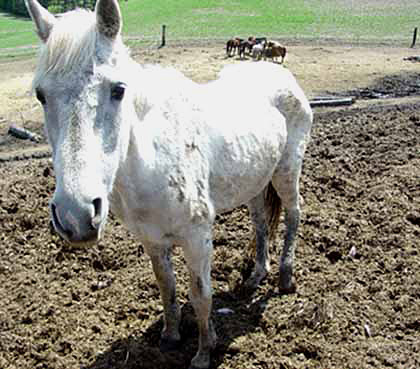 Some people abuse their horses willfully, some simply don't understand the quantity and quality of feed and care necessary for a horse, and others just don't care. 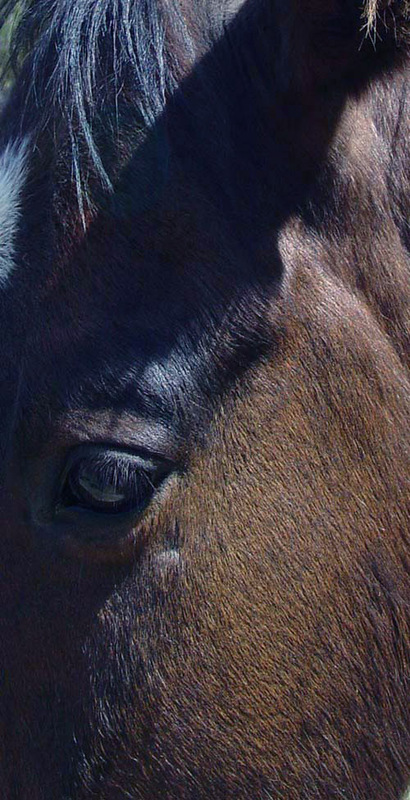 Older horses are especially vulnerable, because as they age they require an even higher level of care. 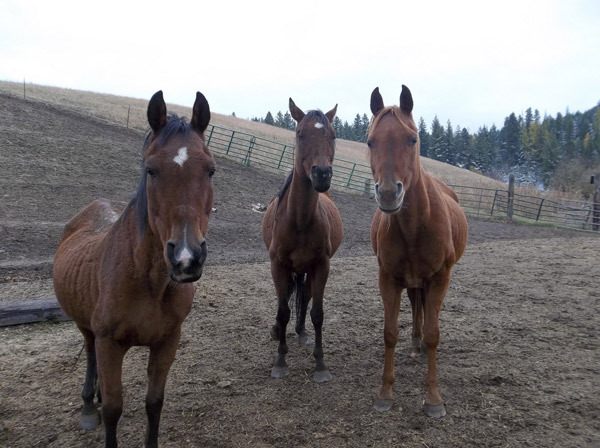 Tessa, Peanut and Ringo when they first arrived at Orphan Acres. Tessa, Peanut and Ringo feeling much better now, thanks to your support! 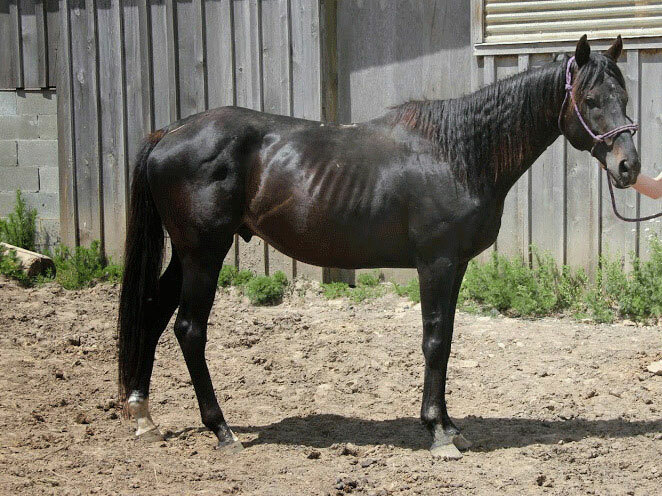 Li'l Blue McGoo, arrived in August of 2002, and passed away in October of 2014, at the age of 29, having enjoyed his last 14 years here at Orphan Acres. He was a movie star before he ended up in the hands of an irresponsible owner. We love each and every one of the animals at Orphan Acres, even when they wake us up in the middle of the night needing medical or other care. It's a joy to watch them heal and grow, while they learn what it's like to be around humans who care, sometimes for the first time in their lives. 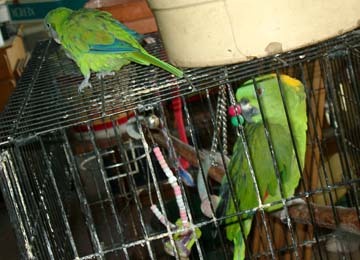 Two parrots, Mercury and Jack reside in the house and they are our welcoming committee as when volunteers arrive they are greeted with Mercury's, "Hello!" Cricket, the third and smallest parrot, passed away and has gone to bird heaven after being with us for several years. This left the larger bird, Mercury, on his own until another rescue, Jack, arrived. He is a blue conure and has settled in nicely. Both he and Mercury will probably stay at Orphan Acres for life because it is so difficult to find appropriate homes for birds that need such specific care. 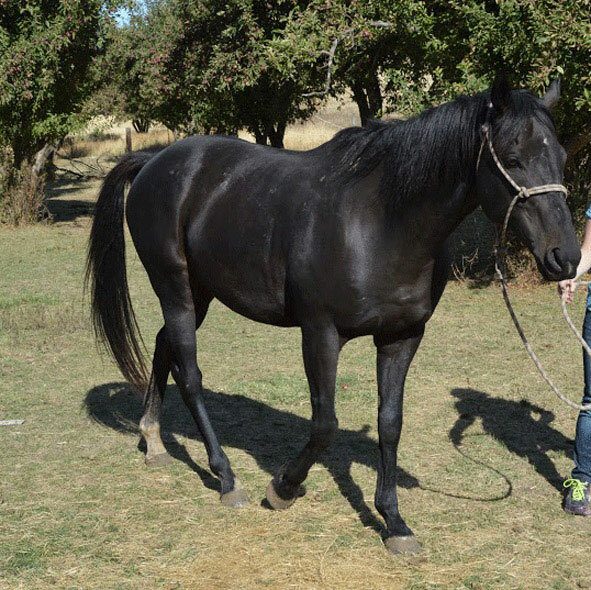 You can sponsor a grateful Orphan Acres senior or special needs horse for approximately $3 a day, or whatever fits your budget, as this greatly helps cover the cost of hay, grain, vaccinations and farrier costs. Donate Now!